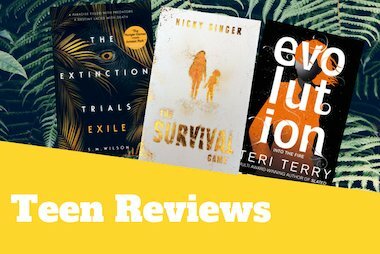 Our brilliant Teen Reviewers Chloe, Charlotte and Chelsea are here to help you to choose your next book to read this summer. 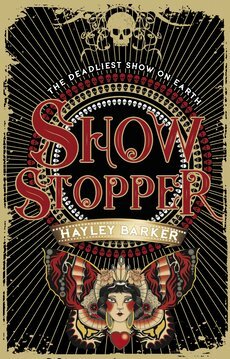 In this post, they review two new dystopian novels, Show Stopper and Who Runs the World?. Look out for more teen reviews coming soon! This book is based on two different perspectives – Hoshiko, who is a circus tightrope walker and known as a ‘Dreg’ and Ben, who is from a very privileged family and is known as a ‘Pure’. When the circus comes into town, Ben is intrigued by it. He persuades his mother, who is a very important government minister, to take him there, and he soon discovers the horrors that go on behind closed doors. This story is about Hoshiko defying the cruel, unfair society that she lives in, and about Ben rebelling against what he has always been taught is right, and the evolution of their relationship with one another. Chloe: Show Stopper is extremely gripping and had me hooked from the very first page. Tension and suspense builds up more and more as the book progresses, and every chapter leaves you on a cliff hanger and wanting to read more. I like the way that the book is written from two different points of view because it shows you two completely different perspectives – one from a privileged boy in the top class of society, and one from an extremely unprivileged girl at the bottom of society. The story kept me on the edge of my seat, especially towards the end, and it made me feel tense and excited. The storyline was unpredictable and had lots of twists and turns, which kept me hooked. My favourite character was Hoshiko because she was extremely strong and defiant. This book made me think about the tragic way in which society could become in the future if the wrong people lead it and animosity grows towards minority groups. Charlotte: A book which captures the reader from the first sentence, jam packed with action and secrets. As you start to read, the circus begins to build around as you’re sucked in and see the story set out in front of you. An adventure which twists and turns, as you watch friendships grow stronger. An amazing book loved it from the start to finish!! What is the hook for new readers? Chloe: If you loved the ‘Legend’ series by Marie Lu, then you’ll love this. Find out more about Show Stopper here. The book was amazing, one of the best I have read in a while. It was different from any other book that I have read before and it kept me wanting more while I was reading. It was nice to see what would happen if women ruled the world and it shows that women are just as capable as men in politics. 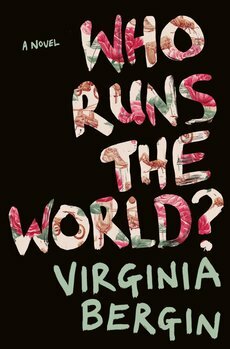 Find out more about Who Runs the World? here. Fancy having a stab at a review yourself over the holidays? 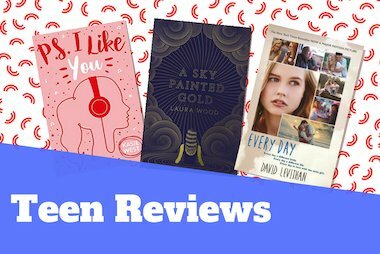 Go to the Teen Reviews page to sign up and we’ll see whether we have a book that matches your interests available. Our final teen reviews for the September offer, this time from Feranmi, Sam and Eva. Carry on reading to discover what the three of them thought about their YA reads. Our second instalment of Teen Reviews for the September offer. Keep reading to find out what Izzy, Charlie and Keira made of three of our latest YA reads! 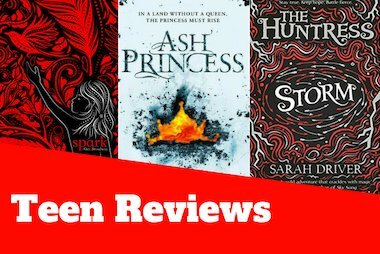 Read below to find out what Olivia, Henrietta and Angel thought of three of our favourite YA books from our September offer. A big thank you to all three of you from the Scholastic Marketing team!